A look at my letter board for this week. I have always loved this verse and it means so much more lately. You can buy these on Amazon and they have a ton to choose from. Such a fun way to keep words and thoughts in front of you. 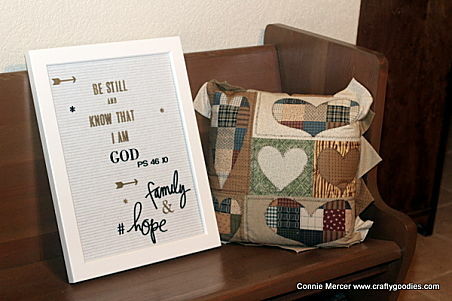 Beautiful way to express and be encouraged. I saw these at HL on clearance but was unsure if the lettering and words would be available. Thanks for the Amazon tip. Love this! Great idea and love that passage as well. 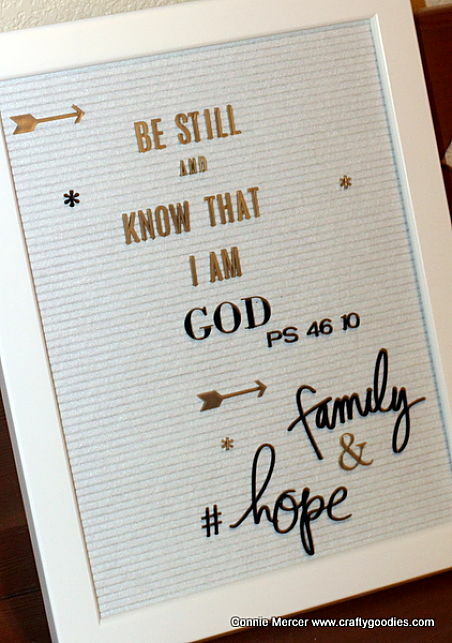 Connie - I love this - I have thought about these boards but would know what to put on it - but Bible verses would be amazing!! what a brilliant idea!